• Uniflex: A clinically tested mineral complex found naturally in fruits and vegetables that is patented to deliver protection and comfort of joints. 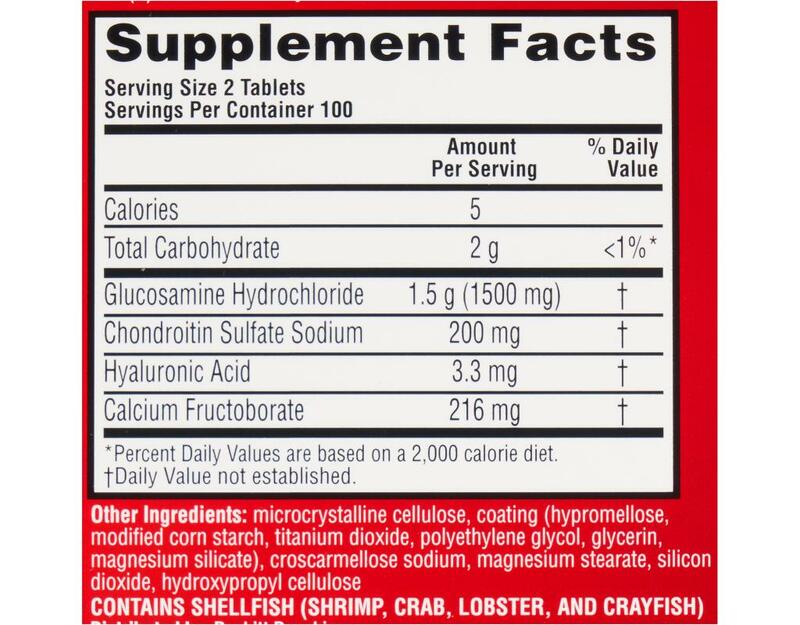 • Glucosamine: Helps by strengthening, protecting and rebuilding joints. 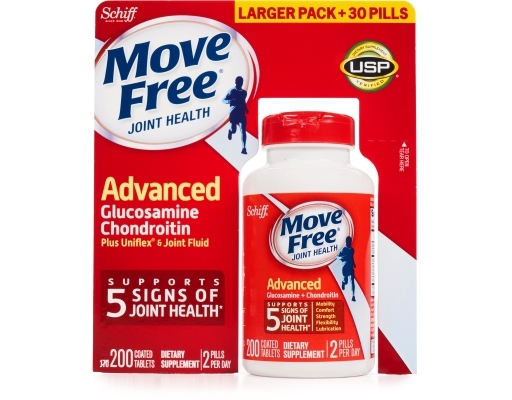 • Chondroitin: Assists in lubricating and cushioning joints. Move Free Advanced Joint Supplement formula contains premium-quality ingredients: Glucosamine, Chondroitin, Uniflex, and Hyaluronic Acid to promote the health of your joints. 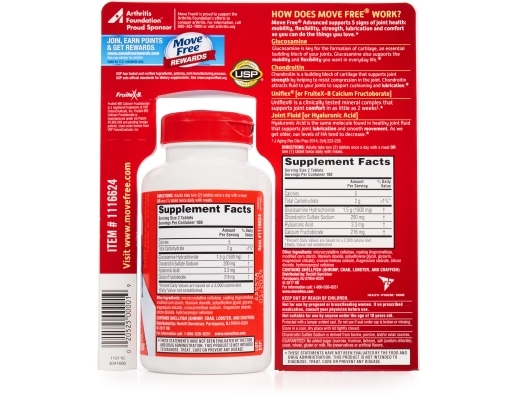 Move Free gives you comfort, flexibility, lubrication, and protection. Take two pills per day, together or at different times, with meals. Move Free has a smaller tablet than other leading joint care brands. Glucosamine and chondroitin work together in Move Free Advanced to protect and help lubricate your joints. Glucosamine is a natural component of cartilage, the connective tissue that protects the bones in your joints and allows them to slide easily over one another. 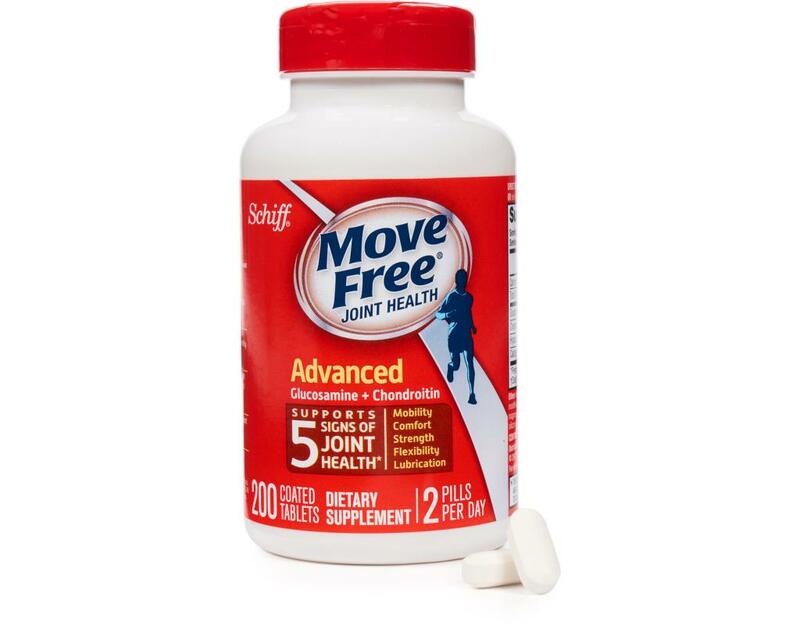 Studies demonstrate that glucosamine, a key ingredient in Move Free Advanced, supports joint health and flexibility. Chondroitin is a naturally occurring complex carbohydrate found in connective tissue such as cartilage. By helping cartilage retain water, chondroitin assists or helps in lubricating and cushioning joints. 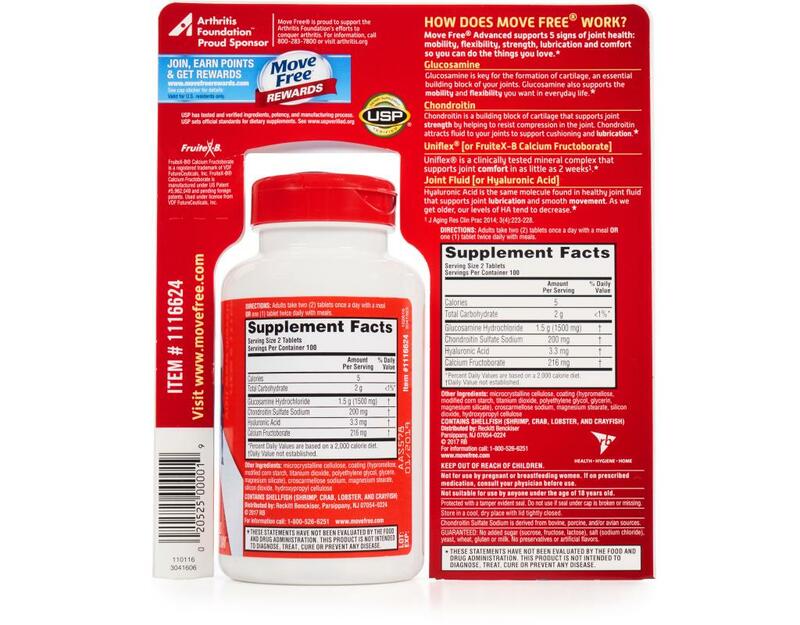 One key compound in Move Free Advanced is Uniflex (calcium fructoborate), a clinically tested mineral complex found naturally in fruits and vegetables. 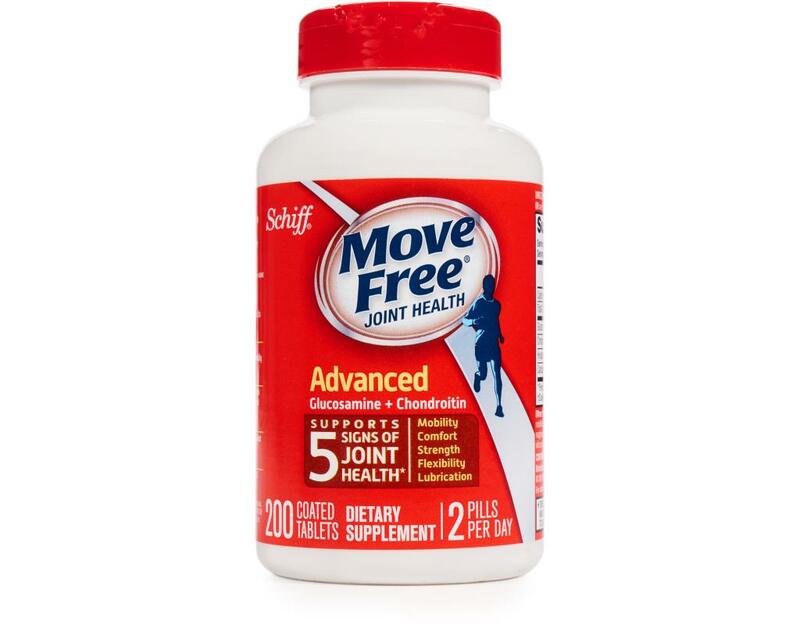 Move Free Advanced contains Joint Fluid, or hyaluronic acid (HA), a potent form of one of the main lubricating components found in your joints. As we get older, our HA tends to decrease, which can reduce joint cushioning. Since HA is naturally present in your body, you already have built-in pathways to absorb and use it. The HA in Joint Fluid is similar in molecular size to naturally occurring HA, and a clinical study shows that when taken orally, this form of HA is absorbed directly into the joints.